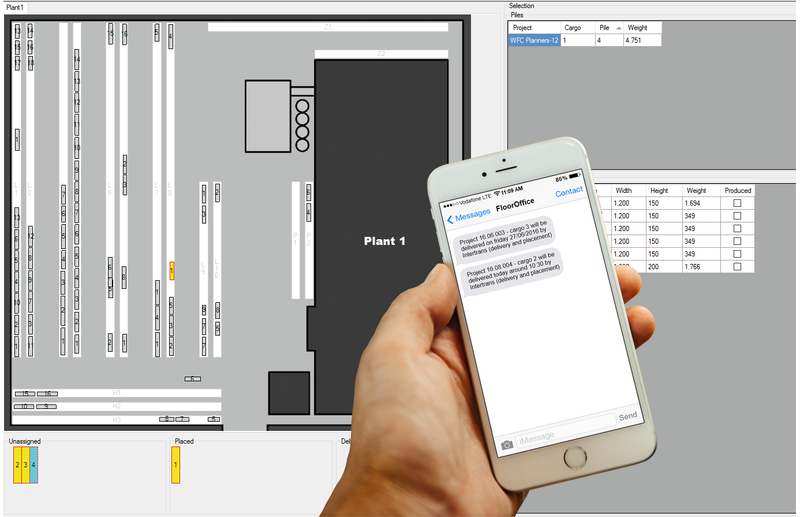 Recently we launched two new modules specifically developed to make life easier for handling after production. As usual, we developed together with a manufacturer to get it first time right. The YardPlanner and LogisticsPlanner are reading data out of the same databases as used for the Cargo-, Bed-, Table- and CarrouselPlanner. The YardPlanner gives a graphical overview of the stacks and the place where they are stored on the stockyard. Clicking on the project tree gives an immediate overview on where the stacks for that particular project are stored. Easy to find and easy to plan the position for stacks that are coming out of production taking into account future planned deliveries. 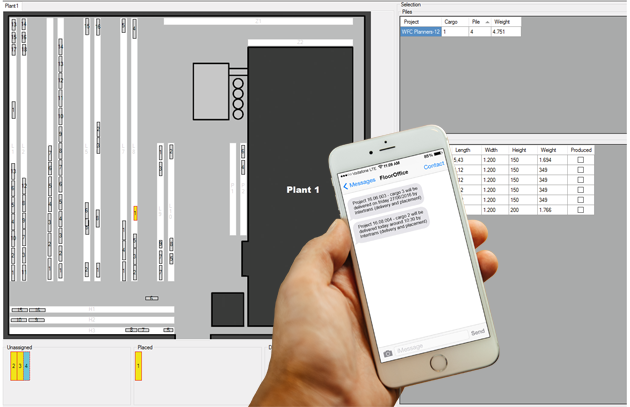 Our YardPlanner mobile app allows the operator for immediate control and registration of stack or element movement on the yard using LAN or WAN connections to the FloorDesk office server. making use of localization tags and hardware.